Daisuke Wakabayashi of The Wall Street Journal in an interview on FOX Business said that Apple Inc. (NASDAQ:AAPL) is going to implement its mobile payments plan. It has now become official that the tech titan will incorporate a new function into their future iPhones and iWatches, making use of the experience and knowledge accumulated from 800 million credit cards tied to its services. Companies like Amazon.com, Inc. (NASDAQ:AMZN) and Paypal can see some of their fears materialize into mobile devices. “[…] People are used to buying things on their iPhone now, not necessarily the real world items, but you pay for an App or you buy a song. The process of paying for that, putting maybe your thumb print on it, so that you can verify the payment, these are things that people are already accustomed to, so it wouldn’t be that much of a relief to say: ‘[…] I want to pay for my groceries, let me just tap my phone or tap my iWatch’,” suggested Daisuke Wakabayashi. This being said, people have been expecting it, yet Apple Inc. (NASDAQ:AAPL) takes it a little further. It intends to partly or even completely remove the need of carrying extra plastic in our wallets and remembering different passwords and pin numbers. American Express Company (NYSE:AXP), Visa Inc (NYSE:V) and Mastercard Inc (NYSE:MA) have already embraced the idea, thus Near Field Communication (NFC) will be available in the new Apple Inc. (NASDAQ:AAPL) products. There are three forms of NFC, which is just another form of wireless connection, tag reader and writer, device to device and card emulation. Tags are small pieces to be scanned with the phone to perform some action, i.e. a brand banner has a tag, which after being scanned directs you to their website. The second property acts pretty much like Bluetooth and is in fact compatible with the latter technology. As a cherry on top, card emulation completes the functionality with the tap-to-pay property of phones. This last breakthrough is not novel in essence, there are Android and Windows Phone handsets already having the feature, however, not every shop would accept such a payment form. 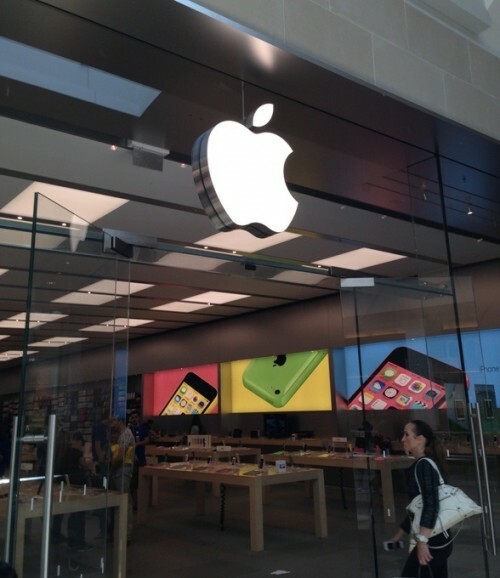 Apple Inc. (NASDAQ:AAPL) has the chance of changing the rules of the game.